AGT is in position for key milestones and success in 2018. 2017 brought attention to the industry and particularly to AGT. We raised nearly $8M (approximately double the previous year), and efficiently leveraged the capital to advance AGT’s key technologies and pre-clinical programs. Our recent work has yielded critical data and materials to move forward into our HIV cure in-patient trials. In parallel, AGT gained the grant of a key patent in the stimulation of gamma delta T cells for treatment of solid tumors, and moved forward in all areas of our intellectual property portfolio – particularly in the high-value area of immuno-oncology. Immuno-oncology Viral Vector: AGT Granted First Patent! AGT received its first patent for its ImmunoToxTM lentiviral vector and its claims for stimulating gamma-delta T cells for the treatment of cancer. Evidence gathered in animal tests indicates AGT’s approach will be highly effective in liver, prostate, pancreatic, head and neck, and many other cancers. (Watch this video for details). AGT has many patents in process. Patents frequently take years to prosecute, but this one was eligible for an expedited review because it fell into a special category of immuno-oncology. Not only was it processed quickly by the USPTO, it was granted with broad claims. A second patent under expedited review in the immuno-oncology area is expected to be granted shortly, and 2018 should yield additional grants. Even in the various stages of prosecution, patents have intrinsic value from the day they are filed (their priority date). The longer they remain unchallenged, without any overlapping publication of articles and patents, the more likely the filed claims will be granted. One year ago, AGT’s patent portfolio was estimated at $480M in value. AGT is in the process of reevaluating the portfolio in its current state based on additional filings and reviews over 2017. The company expects to see a substantial increase in the market and liquidation values of AGT’s growing Intellectual Property (IP) portfolio. in the cell and gene therapy industry. With its IP, AGT has the potential to cure the world’s most deadly epidemic and to develop the next breakthrough in cancer therapy. These developments produce patent-protected commercial opportunities. The progress AGT has made to develop and protect its lentiviral vectors has helped position the company as a leader in the cell and gene therapy industry. AGT is currently conducting a registered clinical trial collecting blood from HIV-infected patients for processing with its therapeutic vector and automated cell-processing protocol (see the study registration on clinicaltrials.gov). Eight runs of the cell-processing protocol have been conducted in 2017. This trial has refined and optimized the GMP-compliant manufacturing process to yield the target number of HIV-specific CD4+ cells for patient treatments. The data from this process is the last requirement for completing the Investigational New Drug (IND) application for AGT’s HIV cure. AGT expects to “lock” the cell processing protocol this month. Three additional runs of the “locked” cell manufacturing process are required to finalize the data for the FDA. AGT is forecasting three months to conduct and record the data and two months to analyze and report it, so submission of the IND to the FDA is expected to fall within the first half of 2018. Preliminary data collected shows compelling results and AGT is confident that it will report positive safety results from the in-patient trials this year. “The gene therapy revolution gets real,” according to Barron’s. Over the past few months, the FDA has taken historic actions to approve the first gene therapies in America. In August, the FDA approved Kymriah (Novartis), a CAR-T cell therapy to treat children and young adults with lymphoblastic leukemia; and in October it approved Yescarta (Kite Pharma/Gilead), a CAR-T cell therapy for specific types of non-Hodgkin lymphoma in adults. GlaxoSmithKline has also successfully treated a child with Strimvelis, a gene therapy for Severe Combined Immune Deficiency (SCID), a condition commonly known as “bubble boy” disease. Spark Therapeutics’ Luxturna™ received a unanimous FDA committee recommendation for approval in November for treating a rare form of inherited blindness, and was approved nearly a month ahead of schedule in December. This not only brings the total number of approvals in the gene and cell therapy market to three in nearly the same number of months, but it extends the approvals to viral vector-driven, in vivo treatments and it paves the way for a broadening set of therapeutics (including AGT’s) to build momentum in the trillion-dollar pharmaceutical market. 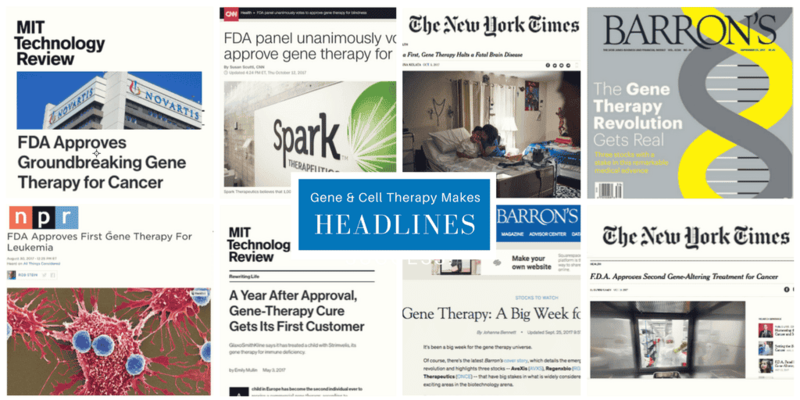 Publicly traded gene therapy companies’ stocks are rising on news of these high-profile industry milestones and announcements. Gilead Sciences paid a record-breaking amount of $11.9 billion for the acquisition of Kite Pharma (NY Times). Additionally, Bluebird Bio (BLUE) stock rose over 7.6% in October after releasing preliminary data on its product LentiGlobin for severe sickle cell disease (SCD). Bluebird has continued to rise on industry news to a market cap of over $8 billion with relatively modest milestones in their own development activity (and no marketed or commercialized therapeutics). Financial markets are showing high confidence in the future of this industry. On October 23, 2017, AGT celebrated the grand opening of its new 24,000 sq. ft. laboratory and offices at 9640 Medical Center Dr., Rockville, MD 20850 with a ribbon cutting ceremony (see press release). Specialized laboratories within the building cover 11,500 sq. ft. These include both a Vector Production Facility that allows the company to reliably produce research-grade lentivirus vector batches for cell and animal experiments, and a Translational Science Laboratory to enable broad validation of gene therapy drug candidates to further build AGT’s extensive vector asset library. The new offices will support the company’s expected growth through early 2020. 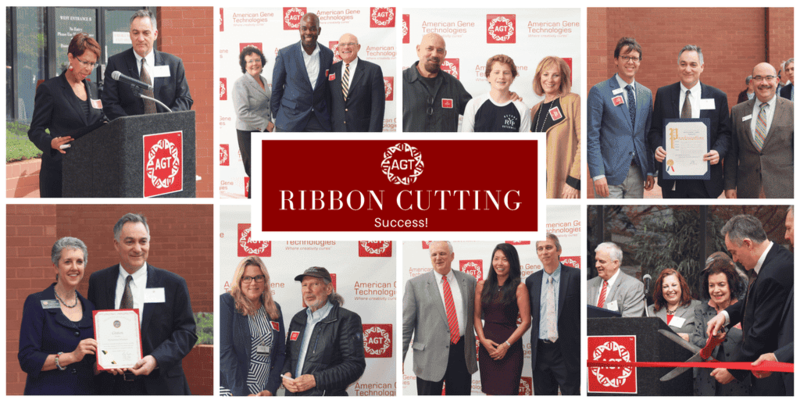 Local shareholders and Maryland government officials attended AGT’s ribbon cutting event. During the ceremony, AGT received citations for its contributions to Maryland’s biotechnology sector from U.S. Senator Chris Van Hollen, MD Department of Commerce Secretary Michael Gill, MD State Senator Cheryl Kagan, and The Montgomery County Council. The fourth quarter was a busy one for AGT’s leadership. Both CEO Jeff Galvin and CSO David Pauza made major public appearances and speeches at local, national, and international industry gatherings, conferences, and events. MicroCap Review: Published AGT in Fall 2017 Edition: Is an HIV Cure Within Our Grasp? A national media company, CityBizList, published an interview with Jeff Galvin in a three part “CEO Interview” series. 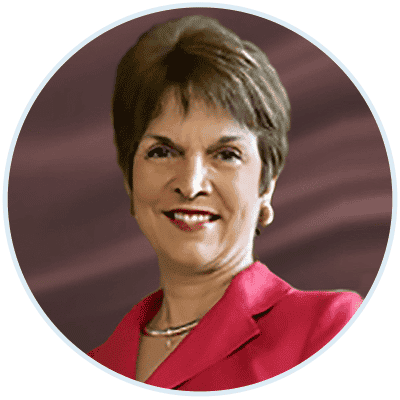 Feedback from viewers indicated that it gives an easy-to-understand background and explanation of AGT’s work and mission. If you are interested, you can view the three part interview below.